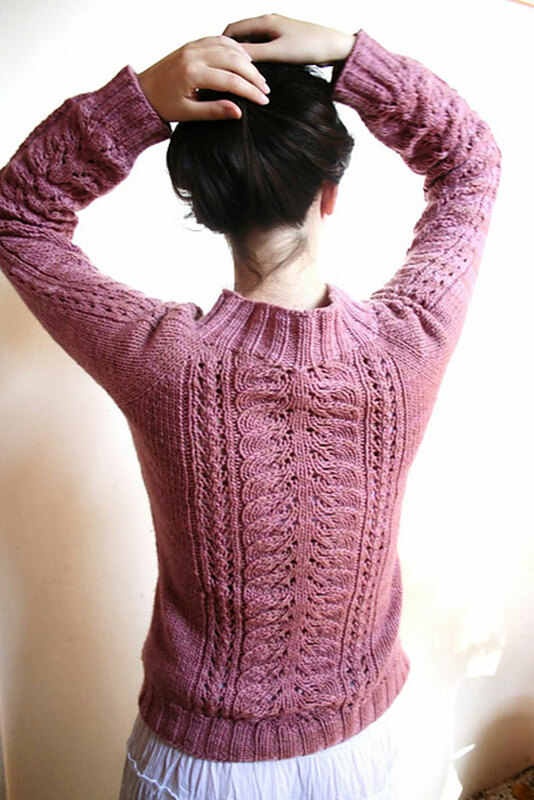 This design is available for purchase from Svetlana Volkova's Ravelry Store - From the designer: "This cosy sweater will keep you warm and happy during cold days. Original top down seamless construction makes it a fun and quick knit. Easy to memorize lace pattern creates a romantic and feminine look." 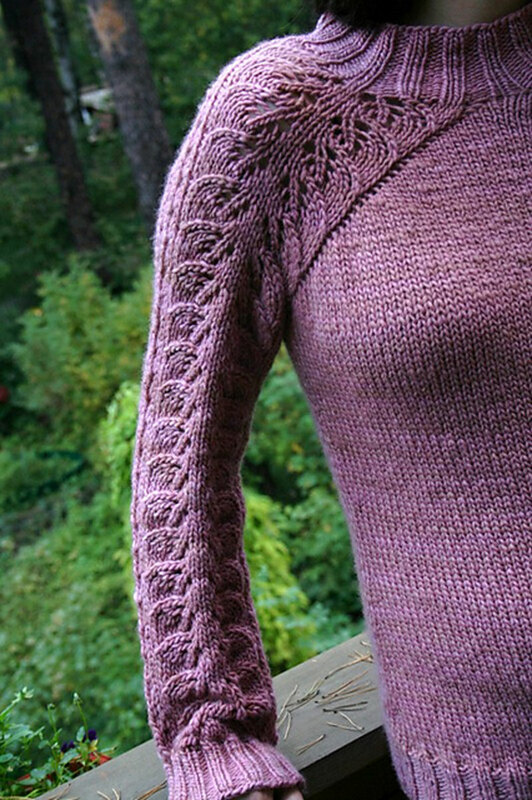 This design is available for purchase from Svetlana Volkova's Ravelry Store. Remember to download the pattern by follow-ing the link provided on this page, as it will not be shipped with the yarn. Size US 9 and US 10 circular needles (or size needed to obtain gauge) are required but not included. Notions required but not included: stitch markers and a tapestry needle. Gauge: 16 sts x 20 rows = 10 cm / 4 inches. Yarn Shown: Malabrigo Worsted Merino; however, we recommend using Madelinetosh Tosh Merino as an alternative. $110.00 -- Kit price including yarn only (no book or pattern). $137.50 -- Kit price including yarn only (no book or pattern). $165.00 -- Kit price including yarn only (no book or pattern). $192.50 -- Kit price including yarn only (no book or pattern).